Inuk writer, editor, broadcaster and filmmaker Jobie Weetaluktuk was born in a summer igloo some 50 kilometres from Inukjuak. His first documentary, Qallunajatut: Urban Inuk (2005), screened around the world, winning the Rigoberta Menchu Grand Prize at the Montréal First Peoples Festival. 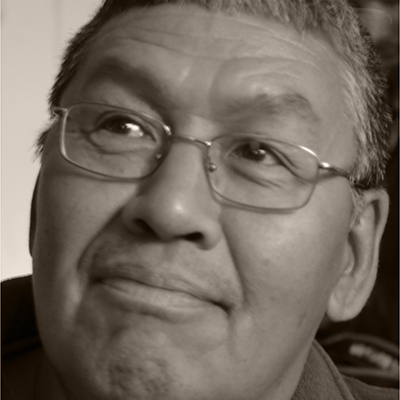 His credits include Kakkalaakkuvik (Where the Children Dwell) (2009), a deeply personal perspective on the impact of residential schooling, and Timuti, a heartfelt study of the Inuit practices surrounding childbirth and naming. “Weetaluktuk’s films navigate how Inuit cultural heritage contrasts and informs contemporary Inuit communities while continuing to address the ongoing effects of colonialism,” says the Inuit Art Foundation.